On Thursday, April 20, 2017, the Hurricane Junior Golf Tour traveled to Greensboro, NC to host the Major Championship at the beautiful Bryan Park. The players battled through a very hot weekend in Greensboro, but the heat wasn’t strong enough to keep us all from having some fun! The Hjgt would like to thank the amazing staff of the Bryan Park Golf Course for their hospitality and ensuring excellent conditions for the field of play. Ryan O’Neil of Waxhaw, NC is the boys 16-18 champion. 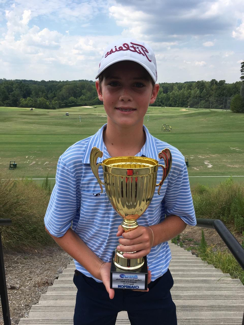 O’Neil solidified the victory in his division carding a 76 Saturday and 83 Sunday for a two-day total of 159. Jace Arko of Cornelius, NC finished in 2nd with a two-day total of 164 (83-81). 3rd place was given to Jason Moore of Pilot Mountain, NC who carded a two-day total of 169 (82-87). The players had a great time competing against some of the best junior golfers in the country. Brantley Parramore is the Boys 11-13 champion. An 86 and 90 were enough to secure the victory for the Greenwood, SC native, finishing with a two-day total of 176. 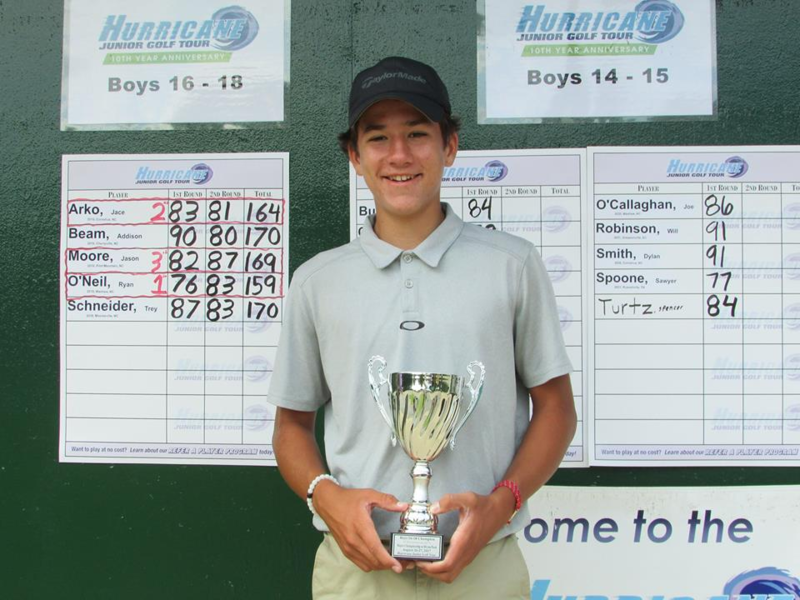 Second place honors were taken home by Landen Howard of Richmond, KY who posted a two-day total of 184 (96 – 88). Daniel Ailor of Montpelier, VA rounded out the division netting a third place trophy for the collection after turning in a two-day total of 198 (98 – 100). This division continuously showed class, sportsmanship, and encouragement to their fellow players as they fought through heat and humidity. Ranida Inpan is the Girls 14-18 champion. 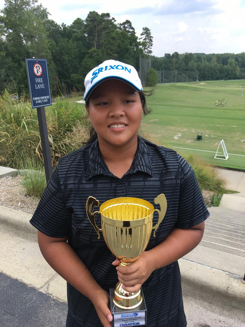 Inpan, of Thailand paired a 76 on Wednesday with a 71 on Thursday for a two-day total of 147 to edge out the competition and take the girls 14-18 division. Splitting second from Thailand was Rattika Sittigool who posted rounds of 75 and 73 for a two-day total of 148. 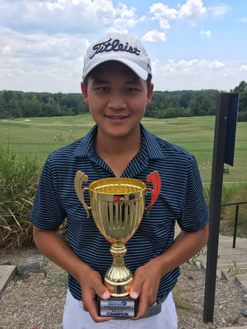 Ahra Suk Ko of Matthews, NC took home third place with a two-day total of 149 (74 – 75). This division played fantastic golf keeping spectators and staff captivated throughout the week. 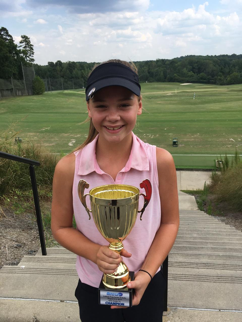 Brooke Oberparleiter is the girls under 13 champion. Oberparleiter of Laurel Springs, NJ emerged victorious after shooting a score of 77 on Wednesday and a score of 79 on Thursday. This netted Oberparleiter a score of 156 and a champion trophy. Finishing second was Kathryn Schaefer of Kalamazoo, MI posting a two-day total of 161 (83 – 78). Third place was taken home by Adriana Isabel Balaguer of Dorado, PR who posted a two-day total of 181 (90 – 91).